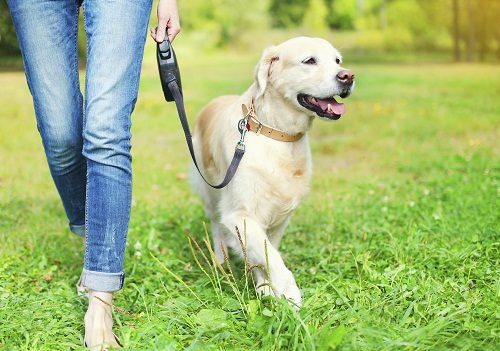 You can deal with your dog boredom or loneliness by taking your dog for a long walk, making a visit during the day, keeping your dog busy, making your dog’s environment comfortable and relaxing and making a safe place for your dog to retreat from the world. 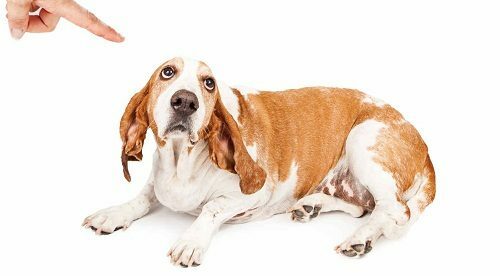 You should reward your dog when it isn’t barking, so your dog will learn that rewarded for quiet behavior, and will be punished for noisy behavior. This rule is considered a new rule to deal with barking behavior. 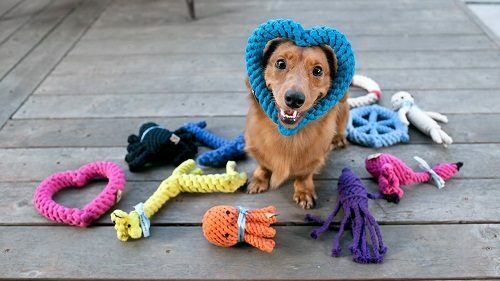 This technique takes time and patience, but it is considered an effective way to stop your dog from barking. For example, leave the house, and hide somewhere nearby, and if your dog starts to bark, spray it with water, and if your dog is quiet, reward his good behavior with some praise. 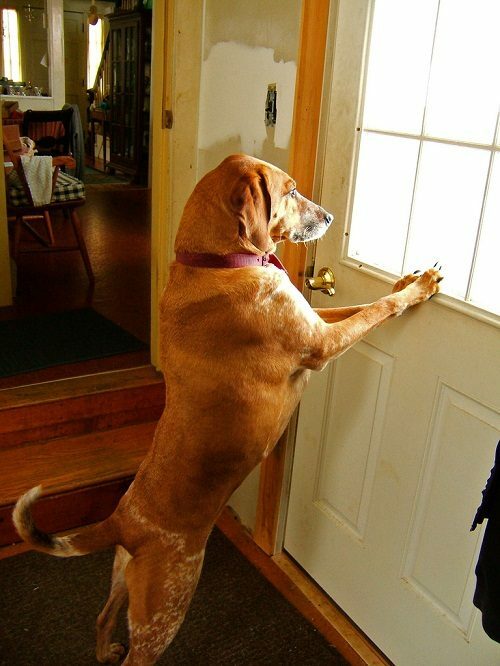 To train your dog not to bark when you leave the home, you should keep the curtains closed to keep your dog more calm, so your dog isn’t motivated to bark, and you should decrease the noise that comes from your computer speakers to keep your dog calm when you aren’t at the home. You should also give your dog a toy that contains dog food as cheese, and beef-basted knotted rawhide bone. 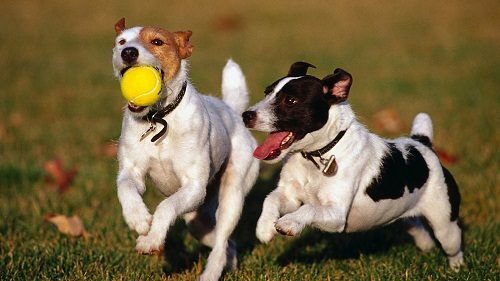 You should make use of your dog’s full energy through playing with it, swimming, fetch the ball , biking with it, agility training and simple obedience games. 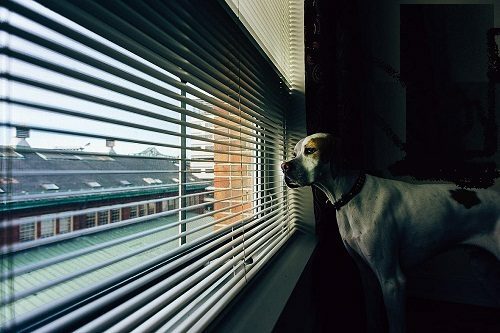 You should punish your dog if it is barking outside by not letting it to enter the house, and you should learn it not to bark inside the home, because the neighbors will become annoyed if it is barking inside the house, so you will achieve great gains for a long time. 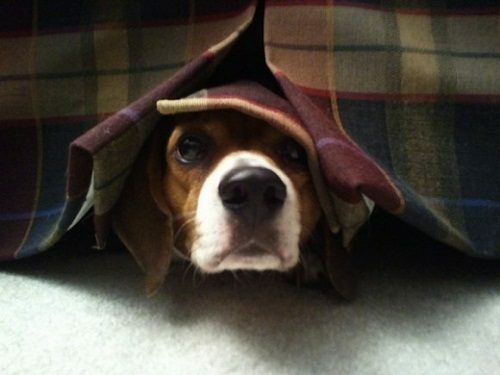 You should, at first, put your dog’s bed far away your front door as possible. You should order your dog to lay down on its bed during quiet times, and if you have a friend ringing your doorbell, send your dog to its bed and reward it if lies in the correct place, repeating this command until your dog lays down without being told after the doorbell rings. 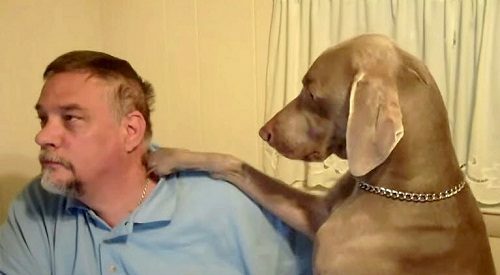 You shouldn’t cuddle your dog if it is barking as it will lead to increasing of the barking the next time, and you shouldn’t also speak quietly with it. You should know that cuddling your dog will reinforce its bad behavior, and makes it barks more at the next time. 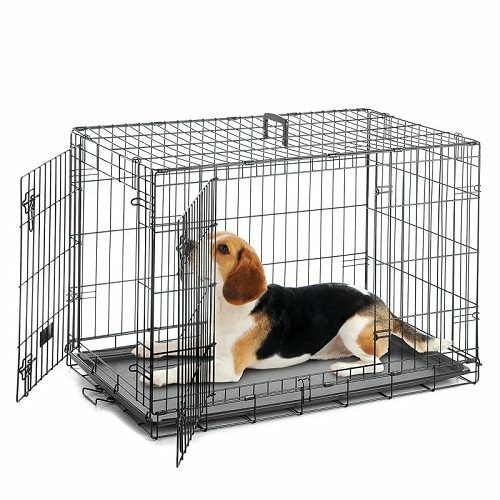 You should, at first, put your dog in a suitable crate to allow your dog to eat and play in it. You should learn your dog to go into its crate, and reward it if it entered its crate and when it finishes its food, let it out. If your dog sleeps in the crate, allow it to go out when it wakes up, and you shouldn’t put your dog inside the crate more than five hours, except at night. 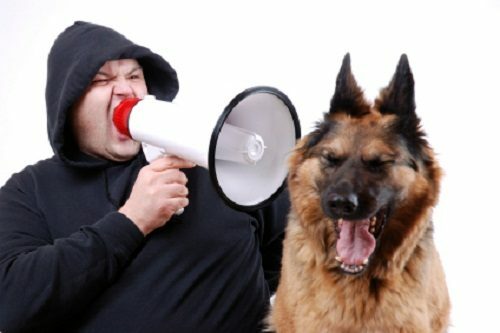 You shouldn’t shout loudly when your dog is barking, as this will reinforce the barking behavior of your dog. You should ignore its barking behavior, walk away from it and don’t look at its eye. This technique will lead to decreasing the barking behavior temporarily, but it will stop barking at the end. You should also avoid leaving your dog alone in the yard, or in the house. As we know, the sense of hearing, according to dogs isn’t different from our sense of hearing, but it can hear voices with higher frequencies, so you should stop the hidden sounds that lead to your dog’s barking. When the dog is scared, it barks, so you should know the reason of being scared and remove it, and this will lead to decreasing of the barking behavior of your dog after removing the cause of your dog’s fear. Most dogs stop barking because they couldn’t smell and lick the treat while barking. 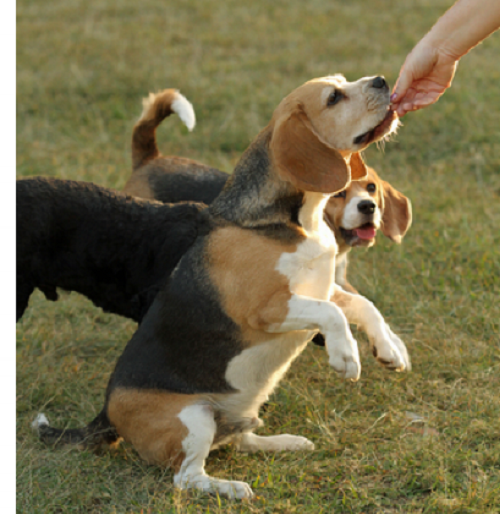 You should command your dog to stop barking to be rewarded. Train your dog to increase the time of its silence, reaching to 2 minutes of silence, so this means that your dog achieved great progress. 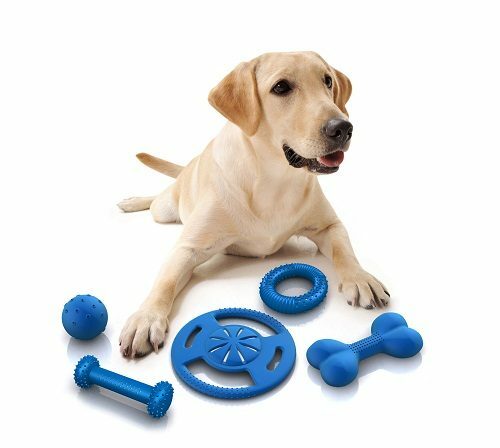 Giving your dog a wonderful toy stops the barking behavior of your dog immediately, and being engaged with many toys makes it calm for many hours. Many dog owners recommend using a barking correction collar on their dogs. 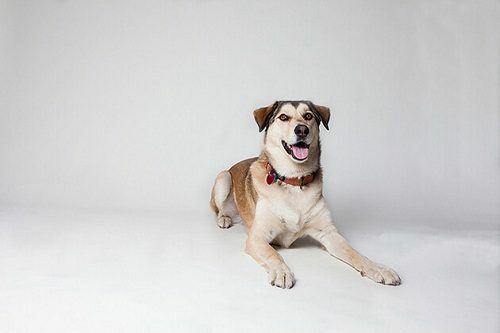 A correction collar is a device worn around the dog’s neck to teach your dog each time it barks that it is unpleasant behavior, so it will make it think twice about barking again and it will stop barking. You should also consult your vet to come up with a strategy to stop dog barking.